I have a few this week. 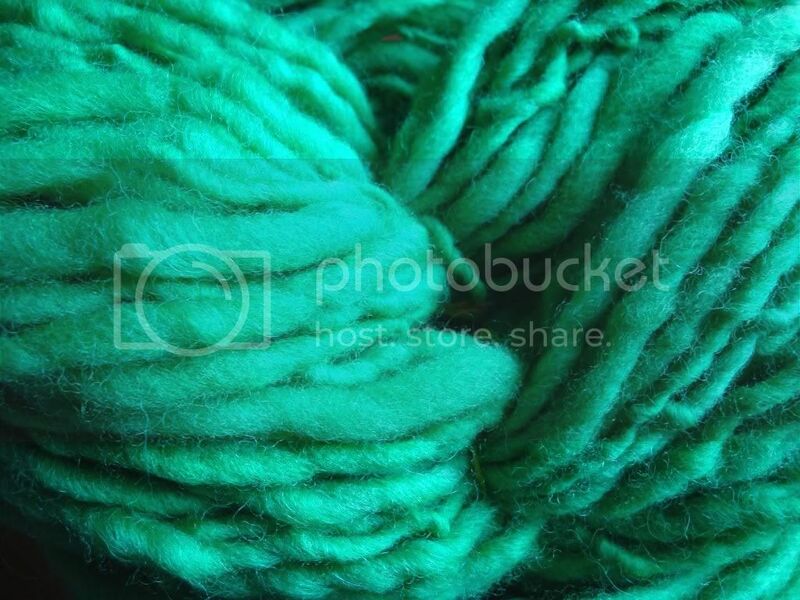 Have been spinning a ton trying to get ready for the farmers market this summer. 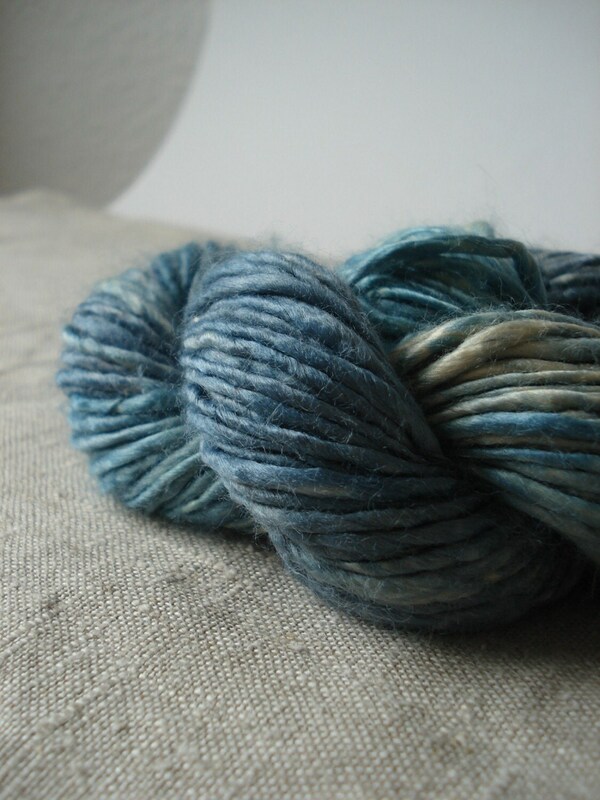 I'm pretty excited to spin in the sunshine and educate people about spinning and hand spun yarn. 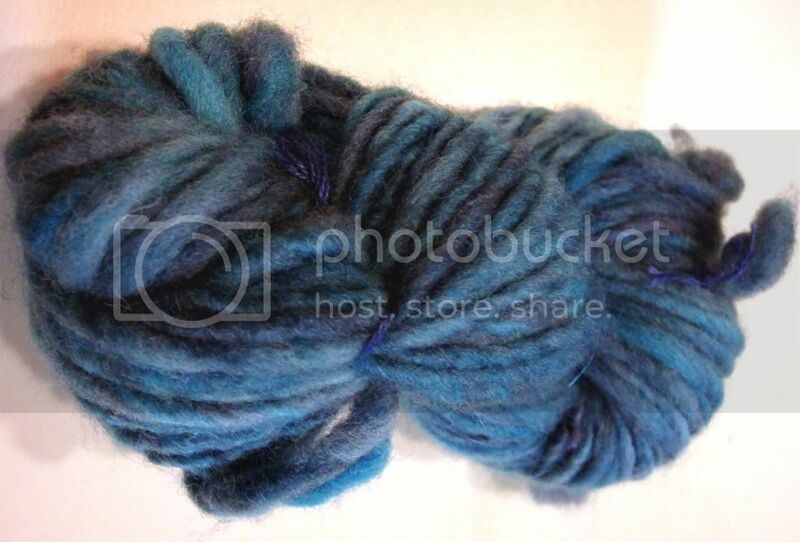 All Dressed - I spun this from batts I carded - bamboo, merino, corriedale, falkland, sparkle, and tons of alpaca. 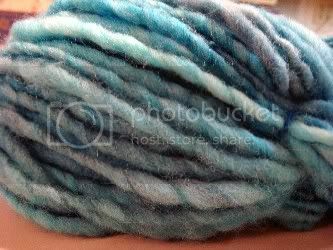 Get off of my cloud - My fav this week - Falkland, bamboo, merino, romney, and corriedale dyed blue with massive white/gray cocoons raw merino, falkland, romney and sparkle. 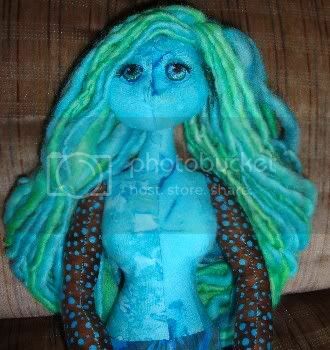 I'm waiting on some felting needles to arrive and then I think I might try to shape the cocoons a little. 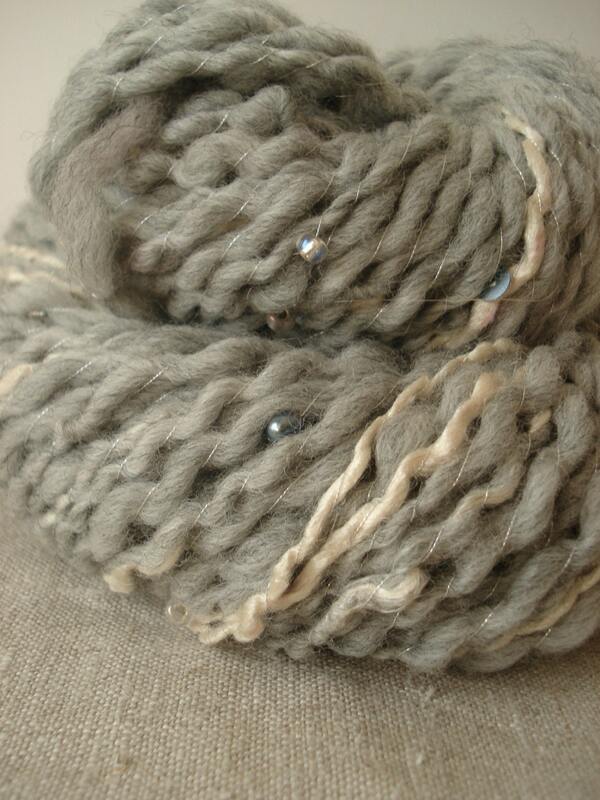 I've been on a crazy corespinning kick this week.. only one of my yarns isn't corespun LOL!! 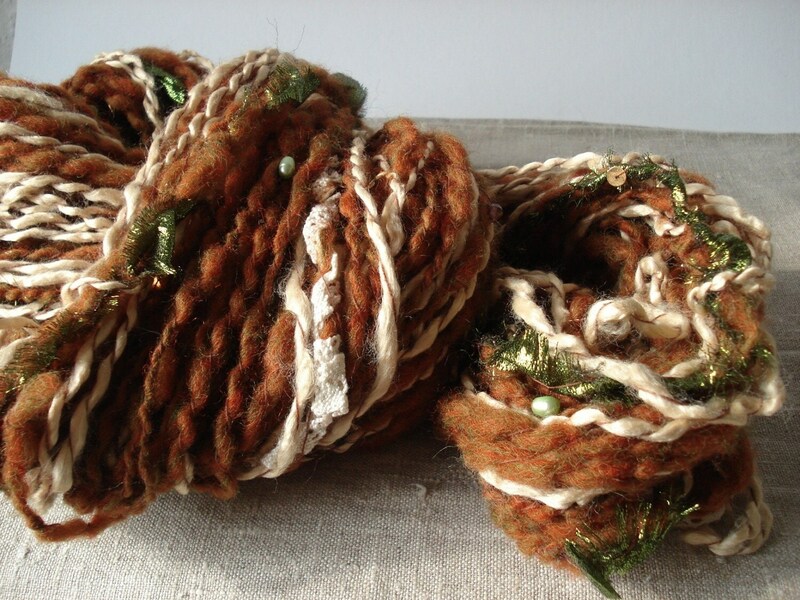 Here's my non corespun yarn.. a thick and thin single from a carded batt of cotswold lamb locks and silk noil, with some extra cotswold lamb locks spun in. I added lots of pink and green angelina, pink and green firestar, pink silver and green sequins strands and pink and silver turbo glam and pink and green pom poms spun in with pink and green lurex holosparkle thread. 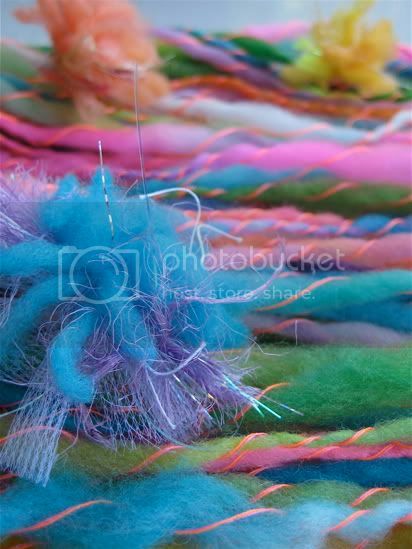 I hope everyone has a great fiber filled weekend!! There are some real colour explosions going on in this thread already! 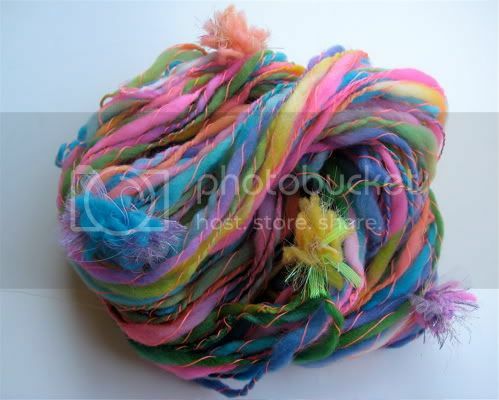 The cloud yarn looks like fun and I love how intense Pixi garden is. 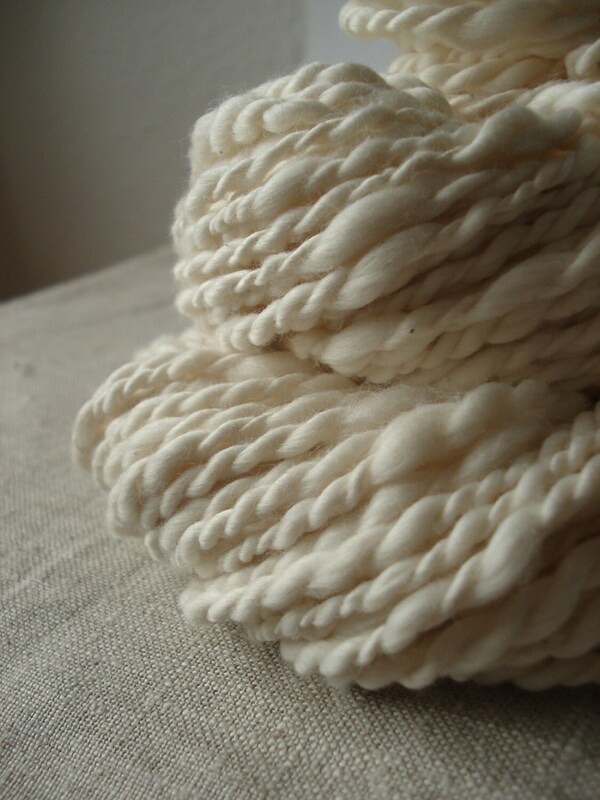 I spun quite a bit more, but they still have to be washed to set the twist, perhaps next week. mullerslanefarm - This is the first year that our community is having a farmers market so I really have no idea how it will go. We definately have a huge amount of people who own vacation homes here, so they are from a larger center. I'm sharing a booth with a needle felter as well, so we should have quite a variety of items. Jazzturtle - I love the look of Unforgettable. 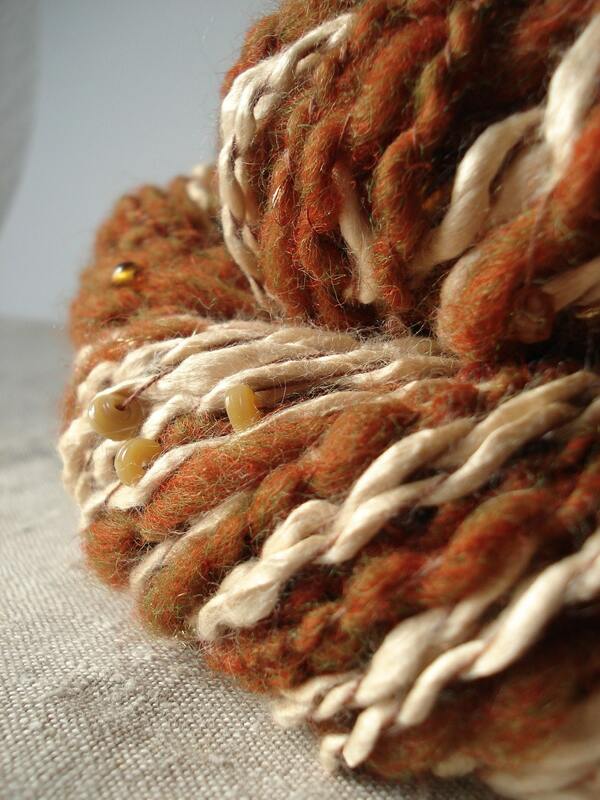 The mohair curls are awesome. I also love the colours of red wood forest. 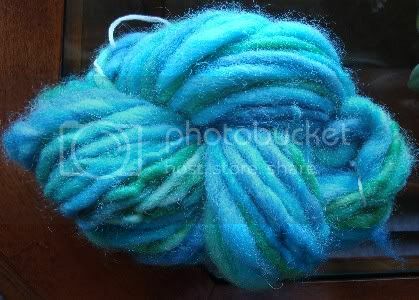 I haven't posted to Fiber Fridays in a while, but I have been spinning a bit every week. I was working feverishly on some embroidery for a swap. 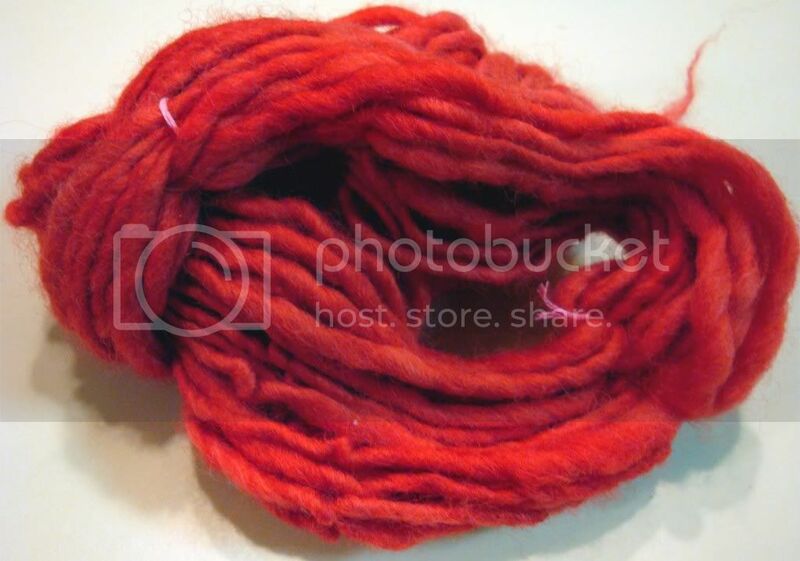 But here is what I've dyed up and spun from my stash of mill end rovings from SSS. jazzturtle, amazing work as always, still in awe [grin] Snowberrylime, your first two are not the sort of thing that usually grabs me but I LOVE them, the second one especially. They look fabulous :-) Jane, zomg Celebration is so wonderfully bright, loving it. gorgeous gorgeous work, no favorites yet, they are all to wonderful!! All I've got is a bunch on the bobbins. Maybe they'll be ready to show by tonight, but likely not. Not to sure if I'm going to ply them, or leave em single. we shall see. "I look forward to continued immaturity followed by death."